Okonomiyaki Chibo Restaurant was founded in 1973 at Sennichimae in Osaka, a district famous for gourmet eateries. The name Chibo comes from the flag mark of Hideyoshi Toyotomi, a powerful war lord who lived in Japan during the 16th century and built Osaka Castle. His flag Mark bears a pattern of clustering calabashes. Okonomiyaki, our signature dish, had the humblest of beginnings as a snack in Japan during the Edo period (1603-1867). Back then, it was made with flour and miso (soybean paste). It was not until after World War II that this tasty treat became popular in the Western world. Evolving over the years, Okonomiyaki has become a meal, with Osaka-style being the most popular. Only the finest ingredients are used to prepare each “made to order” Okonomiyaki. The diner is invited to choose their favorite fillings from our extensive menu. Next, it is cooked until it looks like a large pancake. Just before it is served, we top it off with a special plum sauce, Japanese mayonnaise, seaweed powder and smoked dried bonito flakes. In addition to our Osaka-style Okonomiyaki, we offer Teppan-Yaki (grilled steaks, seafood or chicken and vegetables), Yakisoba (fried noodles), as well as delicious salads, appetizers, side dishes and desserts. At Okonomiyaki Chibo Restaurant, we are delighted to serve you. Our goal is to ensure your dining experience with us is an unforgettable one. Why Choose Okonomiyaki Chibo Restaurant in Honolulu, Hawaii? After generating considerable excitement and attention upon opening in Osaka in the 1970s, Okonomiyaki Chibo Restaurant is now captivating patrons from across the globe in Honolulu. We work to provide a truly authentic Japanese eating experience using only the freshest ingredients. Each element of the eating experience is designed to help provide a memorable event. Our years of industry experience mean we can cater to all taste profiles, and thrive in meeting the requirements of our discerning patrons. 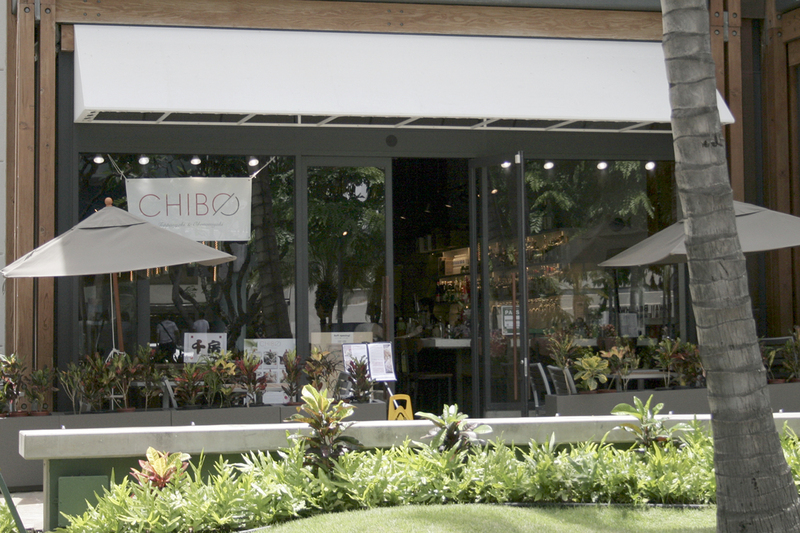 When you choose Okonomiyaki Chibo Restaurant, you’ll enjoy tempting Japanese flavors in an unmatched tropical location. For vegetarians and those who enjoy the newest meat and fish options, Okonomiyaki Chibo Restaurant has a setting and a menu to suit all guests. We continually update our menu based on input from our patrons, and we’re always happy to guide you during your visit to our restaurant. Our staff is trained to answer your questions and provide impeccable, personalized service. It’s the ideal Japanese dining experience at one of the best restaurants in Honolulu Hawaii. To book your table today, call us at (808) 922-9722 or use our online reservation tool.